FIV, Feline Immunodeficiency Virus, is very similar to the AIDS virus in humans. It attacks the immune system of a cat and hinders the cat’s ability to fight infections due to a lowered white blood cell count. However, it is not a death sentence. With proper care, most cats can live normal lives. Signs of FIV are slight fever, loss of appetite, slightly swollen lymph nodes. You may not even be aware of these signs as the cat recovers and goes on to live a healthy life. As the cat ages, symptoms may appear such as chronic flu, weight loss, appeite loss, lethargy. Studies have found though that FIV cats can live as long as cats not infected with the virus. While there is no specific treatment for FIV, the symptoms can be treated. The same drugs used in humans who are HIV positive, are used in cats to slow the disease. There is a blood test that checks for FIV antibodies, but it is not always accurate. While FIV and AIDS are similar, FIV cannot be transmitted to humans. There is no vaccine at present for FIV that’s 100% effective, but studies continue in the hopes of finding one. If only protects against two strains of FIV. FIV-B (the most common in the US) is not protected by the vaccine. 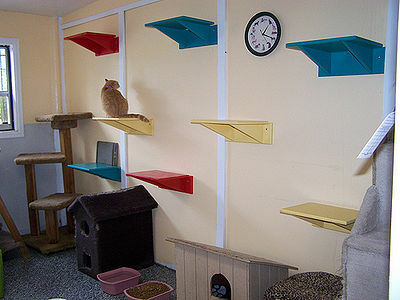 If your cat or cats are always indoors, there is a good chance they will not develop FIV. FIV is most commonly found in outdoor cats and in male cats between the ages of 3 and 5. Typically, genes reproduce when DNA strands split apart and more DNA molecules attach to those “uncoiled” DNA molecules in a process called transcription. For more information about how DNA works, visit this article in biology-online.com. Unlike most genetic material, however, FIV virus genes are on single-stranded RNA. It is a member of the retrovirus family, which means that it uses an enzyme called reverse transcriptase to turn the viral RNA into a complementary strand of DNA. From there, it produces a double-strand of viral DNA. Once the virus DNA is incorporated into a cell, it replicates as part of the cell’s DNA. As cells reproduce with the viral DNA inside of them, the body gets an increasing virus load. 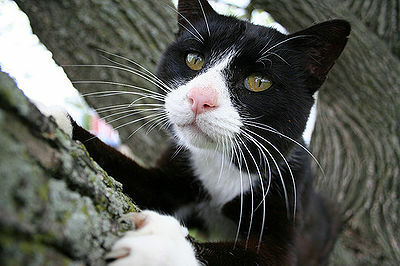 The FIV virus is shed in saliva, so bite wounds are the most common vector for FIV transmission — hence the high incidence in outdoor cats and un-neutered males. There is no evidence at this time to suggest that the virus is transmitted by mating. If a queen gets infected while she is pregnant, she may pass the virus on to her unborn kittens. Close or casual contact alone is not a major mode of transmission. The most common diagnostic test for FIV is the ELISA (Enzyme-linked immunosorbent assay) or “snap test.” In this test, blood is drawn from the cat and separated into serum (plasma) and cells. The serum is screened for the presence of antibodies to the feline immunodeficiency virus. This test is also used to screen for the feline leukemia virus, so often both tests are done at the same time. If the ELISA test indicates a cat is FIV-positive, it is assumed that the cat is persistently viremic — or able to infect other cats. However, ELISA-positive tests should be confirmed with another test such as an IFA or Western blot immunoassay. Because most vets don’t have the equipment at their offices to perform the IFA or Western blot tests, these are often sent to off-site diagnostic laboratories. For more information about the ELISA, IFA, and Western blot tests, visit this article at Petplace.com. 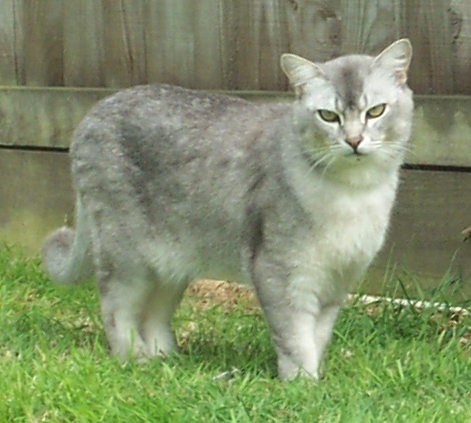 These tests can produce false negatives under two circumstances: During the terminal stages of FIV when the cat’s immune system is so weak that it cannot produce detectable levels of antibodies; and during the very early stages of the disease when the virus is present in the blood but antibodies have not yet been produced. Diagnostic tests cannot distinguish between a cat that is infected with FIV and a cat that has been given the FIV vaccine. This is one reason why the American Association of Feline Practitioners’ vaccination recommendation list labels the FIV vaccine as Non-Core and warns that only the cats at the highest risk of being infected should be vaccinated. Research is still going on to find a diagnostic test that will distinguish between sick cats and vaccinated cats. FIV infection has three stages. The first stage happens about a month after the cat has been exposed. Sometimes this stage has no symptoms, but some cats develop a fever and swollen lymph nodes. The cat may also have diarrhea, skin infections, or anemia. In the second stage of the disease, the cat has no symptoms at all. This stage can last for many years. In the third stage, an FIV-positive cat’s immune system weakens considerably and he becomes highly susceptible to opportunistic bacterial, viral, or fungal infections. FIV-infected cats often become ill with conditions such as severe mouth and gum disease (gingivitis and/or stomatitis), chronic diarrhea, recurrent urinary tract or upper respiratory infections. These infections may improve with a round of antibiotics but then resurface when the antibiotics are discontinued. Many cats in third-stage FIV show signs of dementia, and FIV-positive cats are more likely than uninfected cats to develop lymphoma. Death from FIV is almost entirely due to opportunistic infections that the cat’s body is no longer capable of fighting off with its severely compromised immune system. Although it is possible to manage FIV, there is, as yet, no cure for the illness. Most treatment revolves around managing infections that arise by using antibiotics or antifungal drugs, providing optimal nutrition, and minimizing stress. The American Association of Feline Practitioners’ (AAFP) 2008 guidelines for management of retrovirus infections (FIV and Feline Leukemia) publication lays out a few options. Some drugs that have been used to treat AIDS in humans have improved immune system function in FIV-positive cats. AZT is one of these, but it tends to have some serious toxic side effects in cats. Alpha-interferon (natural human interferon alpha) has improved survival rates in FIV-positive cats, too, because it stimulates the production of certain types of immune system cells and doesn’t seem to cause as many harmful side effects as AZT. The AAFP guidelines recommend avoiding steroid treatment because these drugs can further weaken the immune system. For cats with stomatitis, for example, they recommend removal of all the teeth rather than continuous use of steroids to reduce the swelling. Griseofulvin, a systematic antifungal drug, is also not recommended for use in FIV-positive cats because it destroys neutrophils. Neutrophils are a type of white blood cell, and since white blood cells are the primary line of defense in the immune system, you don’t want to mess with those. Some people have added Omega-3 and Omega-6 fatty acids and vitamin supplements to their FIV-positive cats’ diets. There has been little scientific research on the effectiveness of vitamin and fatty acid supplements, but anecdotal evidence suggests that using such supplements with your vet’s guidance is not going to do any harm. FIV is not a death sentence. FIV-positive cats can live long, healthy lives with proper care, which means regular vet visits, vaccination appropriate to the cat’s risk factors, very good nutrition, and minimal stress. There have been cases of FIV-positive cats living well into their teens. Veterinarians used to tell people that they should never have FIV-positive and FIV-negative cats in the same household because of the risk of spreading the disease. 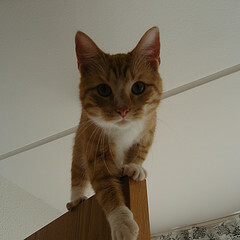 However, an increasing body of work has surfaced indicating that as long as the cats don’t engage in huge fights, the risk of transmitting FIV is actually quite low. 1. Source: Cat Owner’s Home Veterinary Handbook, 3rd edition, by Debra Eldredge, DVM; Delbert G. Carlson, DVM; Liisa D. Carlson, DVM; and James M. Giffin, MD. 2008, Wiley Books.